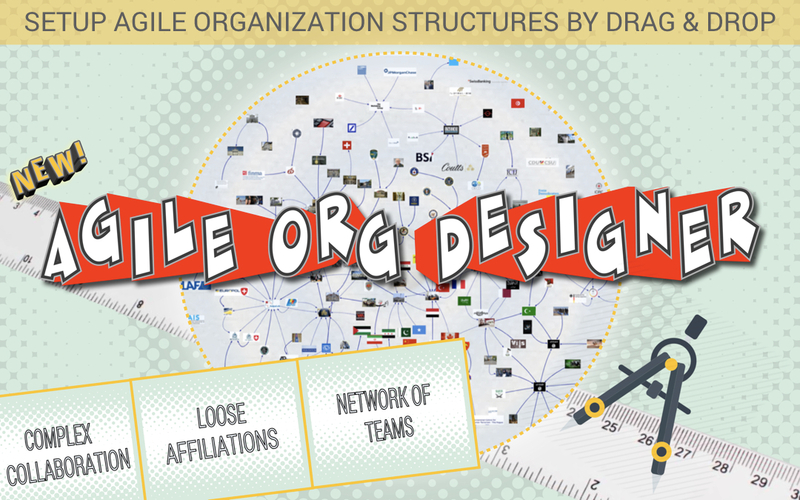 Design agile organization structures by drag & drop. Transform to an agile organization: maintain a stable top-level structure but replace much of your traditional hierarchy with a flexible, scalable network of teams. 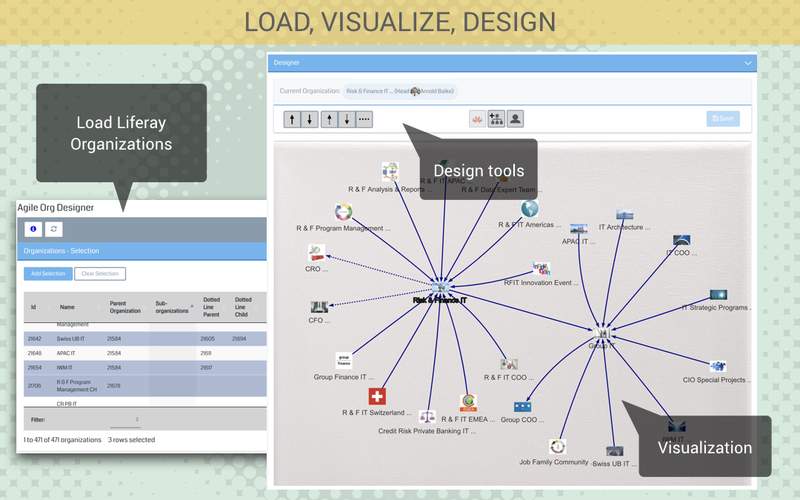 Agile Org Designer will assist you to design different organization models such as Adhocracy, Holacracy and Meritocracy – and – it provides great visualization! 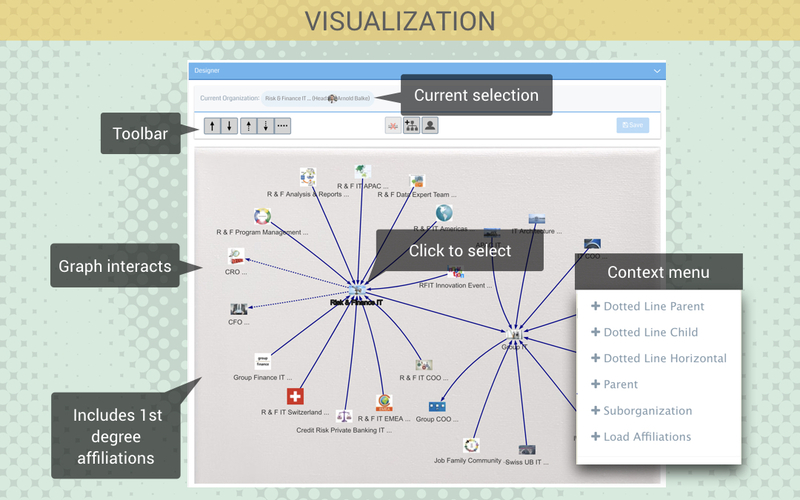 The app consists of a data-table for selecting and loading organizations – and a canvas to design the affiliations between loaded organizations. Buy now, on Liferay Marketplace (free 30-days-trial available!) or try out on our demo page. Ask us for integration to other portal systems!